How Old Do You Have to Be to Work at Cricket Wireless? Does Cricket Wireless Drug Test? Does the thought of the latest phone upgrade makes you smile uncontrollably? Then Cricket Wireless careers could be the start of a beautiful employment relationship. Cricket Wireless has been a strong player in the “no annual contract for wireless” space since 1999. Their focus on affordability and friendly service continues to be the hallmark of their brand. This subsidiary of AT&T has branded stores in all 50 states. They promise “plenty of stores nearby.” So your chances of finding one in your area are pretty good. In this guide, you’ll find the steps you need to apply for your favorite position at Cricket Wireless. These run the gamut from sales associate to upper management. You’ll also learn about age requirements and what pay to expect. We will even show you how to prepare for the interview so you can increase your chances of getting hired. Cricket Wireless makes it super simple to apply for their openings. You can do this via their company website job portal and walk-in retail locations. They also post available positions regularly to online job search and recruitment sites like Glassdoor, Indeed and LinkedIn. As a Retail Sales Advocate, employees work in a fast-paced environment. Gaining new customers and retaining them through quality service is their top priority. In this entry-level position, responsibilities include promoting and selling Cricket Wireless products. Those include “no-contract” plans, phones and accessories. Retail Sales Advocates are the first contact that many customers have with Cricket Wireless. As a result, they are expected to know the product line, be comfortable selling and have excellent customer service abilities. For candidates who speak English and Spanish fluently, a (Bilingual) Retail Sales Advocate is another great option. The main responsibility of the Assistant Store Manager is to act as a right hand to the Store Manager. Responsibilities include working alongside the store manager in the standard day-to-day store activities. In addition, they act as a replacement when the store manager is not available. Daily tasks include merchandising/promotional activities, customer service support, training, inventory management and cash handling. Assistant store managers also work closely with the store manager. They work toward the establishment of net sales and revenue goals. They also provide team support and direction. Assistant managers are expected to demonstrate a strong knowledge of all products and services. They also must have the ability to work and direct others in the workplace environment. The Retail Store Manager is ultimately responsible for everything that goes on in the store. This includes the day-to-day activities of the store and the management of store employees. Required qualifications for this position include three (3) years proven managerial experience in the areas of retail sales management, financial goals management (budgeting forecasting and managing results) as well as employee management skills. Additional desired experience includes five (5) years of proven retail sales management experience, three (3) years of both back office systems experience and management experience in retail operations for a wireless telecom service provider. The Indirect Sales Executive works within an assigned market territory and provides ongoing support for local dealer sales and operations. As an integral part of the team building process, the Indirect Sales Executive spends time mentoring sales associates to makes sure that they meet company standards consistently across the board. This includes guidance in employee development to increase the effectiveness of company promotions, offers and campaigns. Beyond the role of a trainer, the Indirect Sales Executive works directly with dealers. They develop training to reach sales goals as well as offer customer support. They do this when issues have escalated. To meet the minimum requirements of this position, an applicant must have two (2) years of sales experience, excellent communication skills and the ability to exceed performance standards. The candidate must also be hardworking and possess first-rate negotiating skills. They must also be adept at handling interpersonal communication. Travel within the district, reasonable technical knowledge (computer, wireless equipment, etc.) and flexible hours are a must for this position. District managers are the sales and operations gurus of Cricket Wireless. They have management responsibilities of up to 10 store locations. They must ensure quality control and profitable growth through best practices. District managers must also ensure consistency in company standards across all store locations. Their in-depth knowledge of company policies, products and services as well as recruitment make them the go-to person for everything from store growth objectives and inventory to store level issues including the disciplinary action of staff. District Manager candidates should have various qualifications. One of those is a high school diploma (college degree preferred). Another is five (5) years of related retail experience. That would be preferably in a fast-paced telecom work environment and proficiency with Microsoft OfficeⓇ Suite. Additional skills you should have include being organized, resourceful and a good listener. You will need the ability to problem solve. You will also need to work well under pressure and lift up to 25 pounds. Compared to other national wireless companies providing similar products and services, Cricket Wireless offers competitive pay rates with some positions including a base pay with a structured commission on products included. With the average entry-level position starting around $11/hr. and an average starting salary of $35,000/yr. for management positions, their starting rates come in a little higher than their competitors. Both Boost Mobile and MetroPCS offer similar products with average entry-level starting rates of $9 and $10, respectively. The minimum age requirement at Cricket Wireless is 18. This includes entry-level positions up to management. The most popular entry-level position at Cricket Wireless is Retail Sales Advocate. Research on drug testing policies at Cricket Wireless showed that corporately owned stores give standard drug testing. In franchise stores, employee experiences with testing varied. Some received testing and some did not. Employees who have gone through the drug testing process indicated that a urine test to check for marijuana and narcotics is standard. Beyond drug testing, background checks for felonies/criminal history are also given. Why do you want to work for Cricket Wireless? If this is one of your interview questions (it’s a common one), it’s your time to shine! 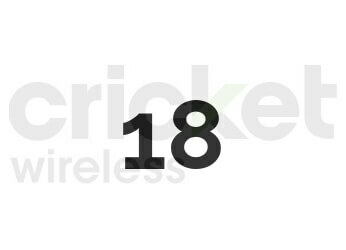 The Cricket Wireless website is filled with company details from company history to their values as a company. Their YouTube channel is also a great place to review past commercials, their community outreach and to get a strong feel for how they market their products. It’s not necessary to share everything but showing that you have more than just a surface level understanding of what Cricket Wireless represents as a company and that you want to be a part of the brand is a great place to start. 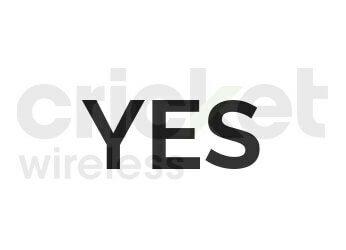 A huge part of working at Cricket Wireless is selling their products which includes their service plans, phones and accessories. If you have past sales experience, use this opportunity to confidently share past work history to demonstrate your knowledge and expertise. If you don’t have sales experience, not to worry, use this question as an open door to sell yourself, your character traits, and why you would be a good fit for the position. Everyone has to start somewhere. Sometimes persistence, confidence, and a friendly smile are the perfect combination to get your foot in the door. If there are no customers in the store, what do you do while you wait? Cricket Wireless is big on store presentation and appearance. They want to know that when there’s a lull in customer traffic that you won’t be standing against a wall texting or playing a game on your phone. Remember that they are paying you for your time. This is a chance for you to demonstrate that you are hardworking. You want to show that they can depend on you to use downtime as an opportunity to make sure that the store is in order. You will also want to stay up-to-date on the latest products. If nothing else, they should be confident that you’ll search for opportunities to be an asset to the store and not a liability. While Cricket Wireless encourages a fun work environment, it’s important that your first interview impression represents the type of employee that they’d like to see greeting their customers and working on their team. You should wear casual business attire for entry-level and customer service positions. Cricket Wireless offers a solid benefits package to qualified employees that includes medical, dental, vision, and disability insurance plan. Additional benefits include 401(k) retirement plans, pension options, tuition assistance and more.